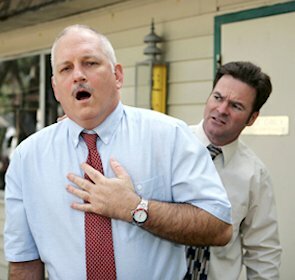 On Avoiding a Cardiovascular Blowout - When the flow of blood is severely impeded anywhere in the cardiovascular system, your life can end or be seriously altered for the worse. DON’T LET THIS HAPPEN TO YOU! 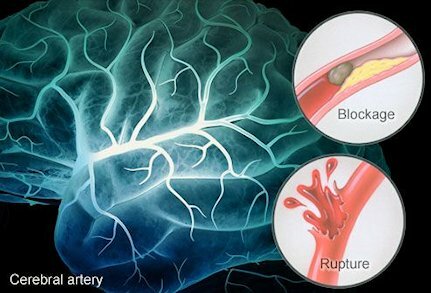 The first symptom of about 25% of all heart attacks and strokes and almost 50% of first heart attacks, is sudden and painful death. Of those people who survive their first cardiovascular event, 13% to 28% (age dependent) have another one within five year. 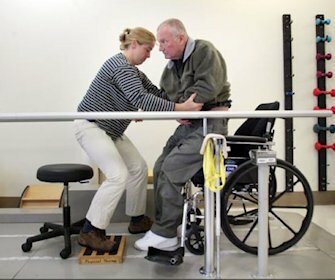 Stroke is the primary cause of long-term disability (i.e., dependecy on others) in North America. Once a person reaches age of 50, the rate of cardiovascular events doubles each decade. A North American’s odds of dying from a cardiovascular event, instead of from any other cause, are one in two. Having a heart attack or stroke can result in death or can drastically reduce one’s physical and mental functioning and quality of life. Obviously, not surviving creates a permanent loss for your family/friends. So, do yourself and your loved ones a favor and adopt five habits that virtually eliminate cardiovascular disease from your future. A major cause of Cardiovascular disease, Cancer, Parkinson’s and Alzheimer’s is insufficient amounts of cell oxygen, which is essential for converting fuel to energy (just like you can’t have fire without oxygen). When oxygen content in a cell goes down, the cell has to get along with less energy than it needs and therefore cannot keep up with detoxification chores. This allows free radicals and toxins to accumulate and damage the cell. When one consumes inferior oils (oxygen, resisting oils) cell membranes are built from inferior lipids, that resist oxygen-transfer into the cell. So, what are inferior oils? 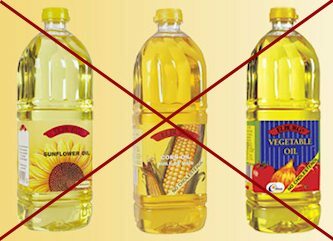 They are virtually ALL polyunsaturated vegetable oils, most grocery shelf, vegetable oils, and all partially OR fully hydrogenated oils, and most cooking oils,that you can buy in the grocery store, i.e. corn oil, soybean oil, etc. And, when cooked, all these oils are even more damaging to cell membranes. You can be sure that when these oils become part of your cell membranes, the oxygen content of your cells WILL GO DOWN... and over time, you are headed into illness as certainly as day follows night. A major cause of Cardiovascular disease, Cancer, Parkinson’s and Alzheimer’s is insufficient amounts of cell oxygen, which is essential for converting fuel to energy (just like you can’t have fire without oxygen). When oxygen content in a cell goes down, it has to get along with less energy than it needs and therefore cannot keep up with detoxification chores. This allows free radicals and toxins to accumulate and damage the cell. Parent Essential Oils are oils which contain Alpha Linolenic Acid (ALA) and Linolenic Acid (LA). These oils come from plant seeds such as flax seed, evening primrose seed, borage seed, pumpkin seed and sunflower seed, etc. One should not eat only one of these oils, as a balance of the ALA and LA oils are needed for cell membranes to attract oxygen into the cell. That’s why the Parent Essential Oils (P.E.O.s) supplement product, which combines these oils in an optimum ratio, is especially valuable. When one consumes Parent Essential Oils, one’s cell membranes will be constructed from oxygen attracting Essential Fatty Acids and, so, cellular oxygen levels will be ample for all cellular housekeeping tasks. Vitamin D3 is the active form of Vitamin D and it is a co-director, along with Vitamin K, for how minerals are utilized in the cells of body. When levels of Vitamin D and/or K are low, then minerals end up going to the wrong places, which can lead to calcification of the blood vessels. When levels of Vitamin D and Vitamin K are in the optimum range, then minerals go to the right places, for making antioxidants, immune system weaponry and soldiers, osteoblasts (bone growth) and for keeping the pH of the body in its optimum range. Click here to learn more about the supreme value of Vitamin D3. Click here to learn more about the unappreciated value of Vitamin K2 in ensuring health. Minerals are the most important cardiovascular nutrient after oxygen and Parent Essential oils. Each type of tissue and functional molecule in the body gets its characteristics or functionality from minerals. Take away minerals from the body and what you have left is carbon and various gaseous elements. In particular, cardiovascular tissue supportive minerals are magnesium and copper. And the particular minerals that help form cardiovascular protecting antioxidants are zinc and manganese. Click here to learn more about essential Minerals. The discovery of Arginine-derived Nitric Oxide supplementation and the Nobel Prize awarded for the discovery of Nitric Oxide’s value in cardiovascular health has spawned a revolution among alternative health practitioners. 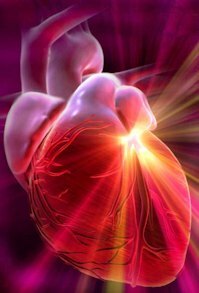 Columbia University called Arginine the silver bullet for cardiovascular health. The consumption of arginine on an empty stomach stimulates the production of nitric oxide, which nitric oxide helps arterial walls to relax with each heartbeat, increasing cardiac output (flow of blood). Nitric Oxide also helps prevent and reverses the buildup of arterial plaque and calcification. Click here to learn more about the value of Arginine supplementation as a means of preserving cardiovascular health. Increased levels of fat, both stored, and circulating (triglycerides). Hypothalamic insensitivity to leptin, leading to raised blood sugar, leading to a host of issues.